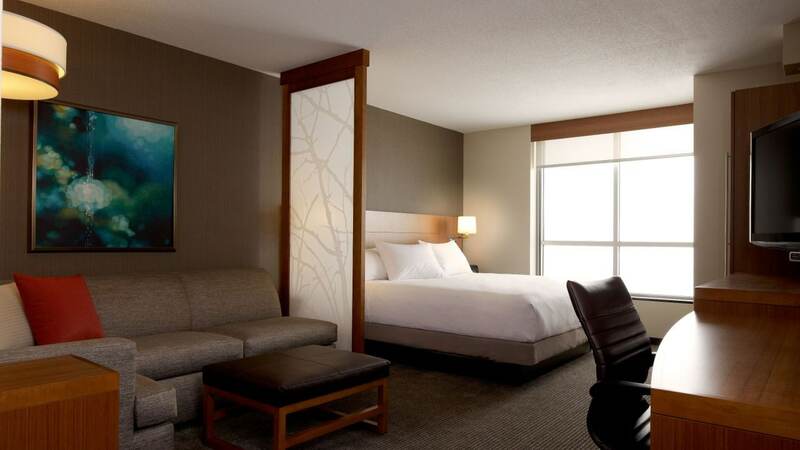 Unpack and unwind in one of 127 rooms spread across five stories at Hyatt Place Calgary Airport. Opt for a City View room with panoramic views of downtown skyscrapers, or go for a One Bedroom Suite with 840 square feet of space to spread out in. 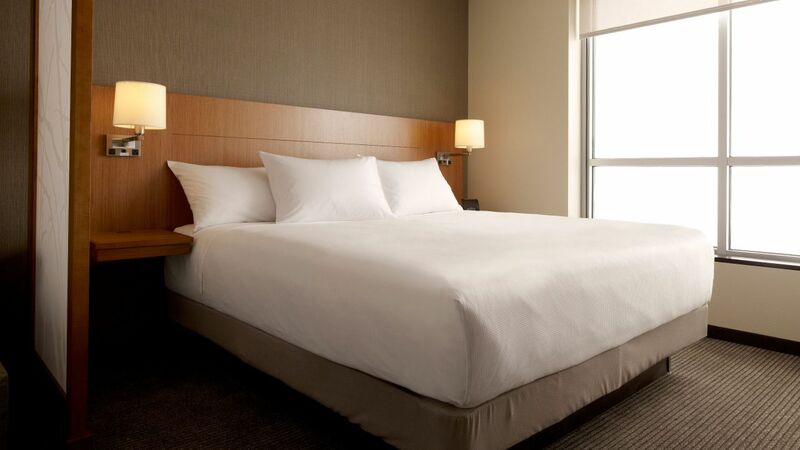 Enjoy your stay in a 360-square-foot space, with a king bed, a work desk, and a Cozy Corner with sofa-sleeper. Settle into a room that fits two queen beds, a work desk, and a Cozy Corner with sofa-sleeper, all in 414 square feet. Rest easy in a 570-square-foot accessible room featuring a roll-in shower, a king bed, a work desk, and a Cozy Corner with sofa-sleeper. Check into a 570-square-foot accessible space, with a roll-in shower, two queen beds, a work desk, and a Cozy Corner with sofa-sleeper. Enjoy your stay in a 385-square-foot space, with a king bed, a work desk, and a Cozy Corner with sofa-sleeper. 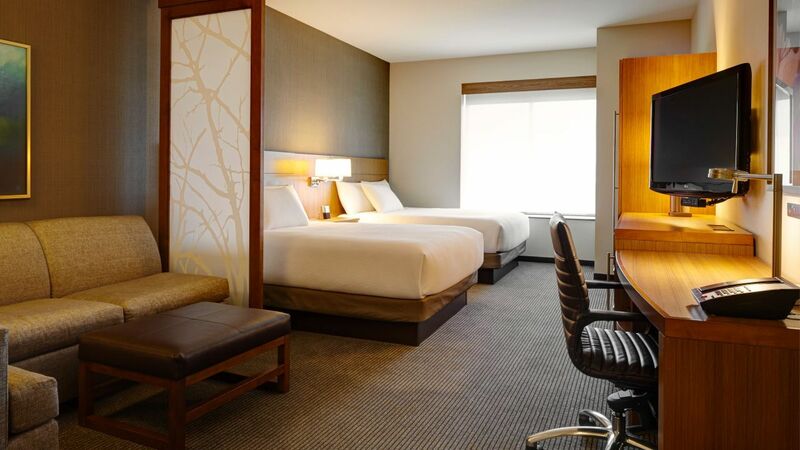 Enjoy room to relax in our largest space, an 840-square-foot suite with a living room, a king bed, a work desk, and a Cozy Corner with sofa-sleeper. 825 square foot one bedroom king suite with panoramic views of the city and the rocky mountains.